Home › Blog › What is Chatt Steel? Here is an interview by Rockery Press conducted by hometown retailer, Rock Creek. You can see the original publication here. This article will get you goin’ on basic information on the upcoming CHATT STEEL: A Comprehensive Guide to Chattanooga Sport Climbing (coming August, 2013). Q. First things first: run through the list of crags we can expect to see in Chatt Steel. This is meant to be a comprehensive guidebook for all of the sport climbing within 50 miles of Chattanooga, correct? How will these be organized in the book? In addition, each area is broken out into its own color-coded segment that is stacked with custom driving maps, parking maps, area and approach maps, and navigational pictures and tips & tricks that become huge advantages when trying to find some of the lesser known satellite crags around Chattanooga. Furthermore, it’s part of our mission at Rockery Press to provide ‘authentic guidance.’ We are Chattanooga locals. We have been to every area that we include. We have climbed a vast majority of all the routes covered in our book. And we have spent hundreds of hours researching area and route history by speaking with local first ascentionists. Combining this thorough research with our innovative and an extremely visual layout, we are confident that users will benefit from a level of guidance previously unavailable for Chattanooga rock climbing. Q. 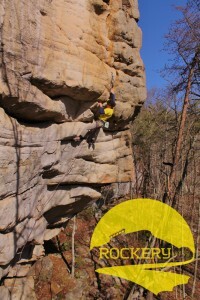 As Chattanooga climbers, we love that “within 50 miles” distinction. It would take years and years to do everything in the book — and you’d never have to drive more than 45 minutes from downtown! 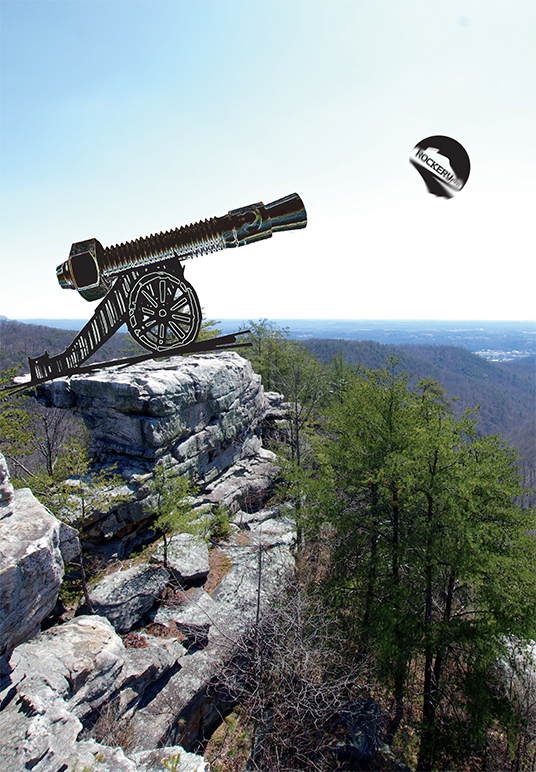 Most guidebooks are by climbing area or state or region; when you started out, did you know you wanted to put Chattanooga at the center of the bullseye here? 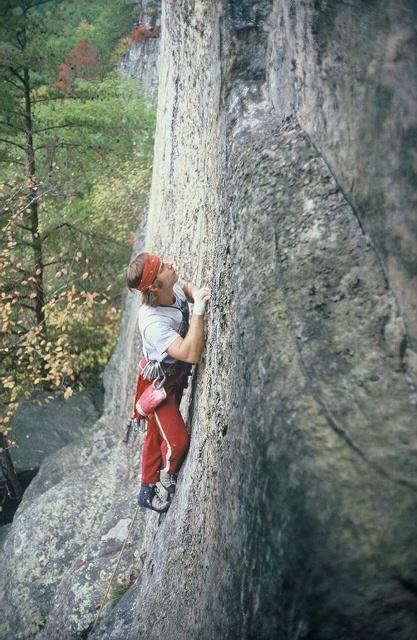 Good friend and Chatt Steel contributor, Rob Robinson, loves to tell the story of the Chattanooga climbing community of the late 1970’s and early 80’s. The story is short and sweet: there was no Chattanooga climbing community back then!- at least not in the manner and size that we see today. In fact, Rob often recounts a kind of epiphany he’d have when standing at the base of so-and-so section of high quality Southern Sandstone. The realization was that much of the national climbing community disregarded and/or were completely unaware of the Chattanooga climbing resource he saw around him. He then often finishes his story with a kind of Chattanooga prophecy that one day in the future, the nation would take note of the high quality rock climbing asset we have here. Fast Forward 30 thirty years, and we’re now living in a very different Chattanooga that has transformed from a place that people were once leaving – into a nationally celebrated destination where businesses, residents, and visiting climbers flock to in increasing numbers each year. Chatt Steel, and Rockery Press in general, is dedicated to celebrating and sharing the changes and new climbing additions of this 21st century Chattanooga. The rock showcased in Chatt Steel was around in the 70s and 80s (obviously), and in many cases, this rock had been climbed before. But what’s different now, and what is continually evolving for the better, is the growing resources and motivation local climbers have at their disposal to help them tackle long standing local access issues that have prevented many areas from public access and publication until now. Chattanooga-area trad climbing guidebook planned for future release. What made you decide to split the two disciplines into separate books — is this just a matter of page count, or did you just want to offer a more targeted kind of guidebook to what may be somewhat different audiences? A. )Yes, many of the reasons you cite influenced the decision to divide the ‘Sport’ and ‘Trad’ disciplines up into two books. more stories to each area we cover, while maintaining a manageable book size that still fits comfortably in your pack. Furthermore, our intention is create a book that guides you at first glance and eliminates unwanted uncertainty by placing the cliff and routes right in front of you via the use of High Resolution wide-angle cliff images and descriptions. But more importantly, breaking the books apart allows authors at Rockery Press to play with themes and storytelling styles that run throughout each of our works. Hopefully achieving the balance of half art, half practicality – added space affords us room to incorporate multi-media story telling elements like QR linked video, audio interview, and general web content to supplement traditional essays and vignettes found throughout the work. We are proud to boast about the many local writers, painters, photographers, and videographers whose work we can include in the Chatt Steel story, and we are very excited to be doing it again for future books as well. Q. Let’s talk about Deep Creek. Chatt Steel is going to be the first comprehensive guide for Deep Creek, which is right alongside the Cumberland Trail, and the book is set to come out at a time of year where that’s probably the best sport crag to beat the summer heat. Visiting climbers here at the store are constantly asking for Deep Creek beta; this is going to be a big deal! Can you talk about the coverage in the book? How many routes are listed? A.) Yes, we are very thankful for our friends at the Cumberland Trail State Park for sanctioning first-time publication for Deep Creek, a great Chattanooga climbing asset that joins the ranks of other CT owned areas that include: Buzzard Point & Laurel Falls. Climbers have worked very closely with the CT park officials for over the past 6 years to establish a wonderful management plan for the area, and thanks to efforts of the SCC, Wild Trails, Friends of the Cumberland Trail, and Cumberland Trail Conference, an SCC owned and managed parking lot, climber’s trails, and a Deep Creek hiking bridge have all been established making the area’s infrastructure nearly complete. Having been a part of the process of establishing Deep Creek climbing since its sport climbing origins in 2007, authors at Rockery Press are very close to the area and have taken extreme care to debut all of Deep Creek’s current route inventory with absolute detail and precision. We have accumulated insights and stories from local developers, as well as gathered F.A. photos and content. Looking here… the current route count for the area is: 168 routes (and growing). Q. A few Rock/Creek staffers are really excited about the thorough treatment some under-visited local crags are going to receive in this guidebook, including Buzzard Point. Is it fair to say there are a few forgotten gems out there? Can you talk about the status of anchors at Buzzard, Laurel Falls, etc? A.) YES. Everyone has heard the stories of ‘marbelized’ white sandstone lurking in the depths of the Laurel/Snow pocket wilderness. Everything you have heard is true, and there’s more where that came from. In particular, Rockery Press publisher, Micah Gentry, has invested many hours and dollars (with the help of the ARI anchor replacement) into the re-bolting of Laurel Falls. 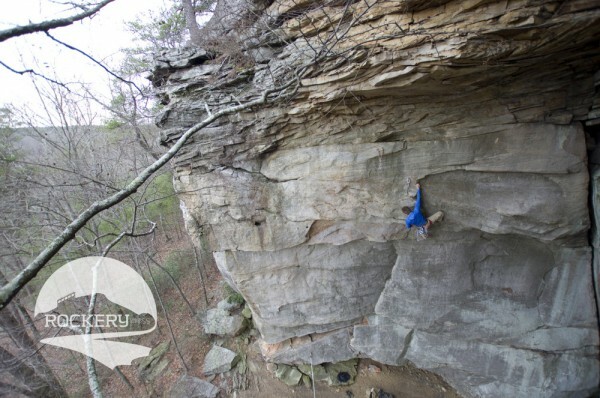 It’s amazing how few Chattanooga climbers visit Laurel — as it has absolutely one of the best 5.12 walls in the region. One of the other side of things, the wild Buzzard Point is equally as quality, but currently provides a long hike with a ‘rusty’ disposition. In other words, there has been some anchor replacement at this crag, but it is high-time for some anchor replacement work to be done. There are current talks of this work taking place very soon – so check www.rockerypress.com or www.seclimbers.org for updates. In addition to Buzzard and Laurel, Chatt Steel also includes extensive and updated coverage of local favorites like Foster Falls. In addition, we are also introducing several new satellite areas for the intrepid adventurers!